5Dimes owner William Sean Creighton, also known as “Tony,” has gone missing. OIJ director, Walter Espinoza, confirmed they are investigating the disappearance of 43-year-old William Sean Creighton, known throughout the online sports betting world simply as ‘Tony,’ who hasn’t been seen since he left work on the night of September 24. His wife, a Costa Rican national, reported him missing the following day. Espinoza said they cannot comment anymore on the case for fear of putting at the risk the man’s life. Espinoza would only say the OIJ is investigating a disappearance, not speculating if the case was an abduction, would only say that the OIJ not received any ransom requests. But Costa Rica’s self-proclaimed “most sold newspaper in Costa Rica”, the Diario Extra, reported that “Tony” had been abducted by four men and that a sizable ransom had already been paid by his family. 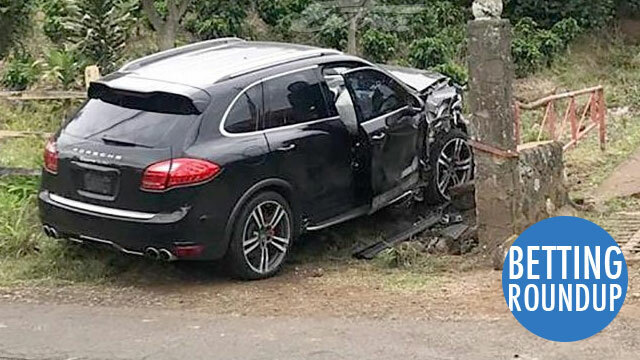 According to the Diario Extra report, Tony’s Porsche Cayenne was forced off the road that night by two gunmen on a motorcycle and two more individuals in a BMW. Tony’s wife reportedly received a call from his captors later that night, demanding payment of US$950,000 dollars. The lead policymaker on Illinois‘ sports betting bill wants to make sure to not tax legal sports betting at too high of a rate. There are a lot of moving parts involved in expanding gambling in Illinois beyond casinos, horse racing and video slots at the neighborhood bar. Previous talks have focused on new casinos or fantasy sports betting, but after the U.S. Supreme Court opened the door to legalizing real sports betting in May, state Rep. Lou Lang, D-Skokie, has been investigating how Illinois could make it happen. He told a committee in Springfield on Wednesday that lawmakers must consider a whole host of things, including how to handle the all the technology involved, whether to allow only one vendor, and making sure not to violate the Federal Wire Act. However, he said if the law were repealed “Illinois could be a hub” for sports betting. He also talked about allowing sport betting online, rather than just in brick-and-mortar locations. That would capture even more revenue, Lang said. He warned lawmakers to take their time to get it right, including not taxing too much. Washington D.C. pushed toward legalized sports betting with a public hearing earlier this week. “You can see the cluster around us,” he said, referring to West Virginia, New Jersey and Delaware, which all offer sports betting. “It’s my view that over the course of the next several years, sports betting will be across the country,” he said. None of the members present from the Finance and Revenue Committee voiced direct opposition to the bill. Legalized sports betting could increase annual revenue for the MLB and NBA by a combined $1.7 billion according to a recent study commissioned by the American Gaming Association. The study, which was conducted by Nielsen Sports, found that with widely available, legal and regulated sports betting, MLB could $1.1 billion, while the NBA may see a revenue increase of $585 million. Nielsen Sports analyzed revenue streams including adverting, data and sponsorship and the additional revenue generated from league media and products as well as increased media rights, sponsorship, merchandise and ticket sales. The study was conducted from May 15 to May 30, surveying more than 1,000 adults sports fans and self-identified sports gamblers. Earlier this month, the AGA released the results of a similar study of the National Football League and the National Hockey League, finding their annual revenue could increase $2.3 billion and $216 million, respectively. Entering the 2018-2019 NBA season, the Golden State Warriors were once again favorites to win the championship. There may be hope for the other contenders, though. The Warriors’ title odds entering last season were as high as -240 at the Westgate SuperBook in Las Vegas. This year, they are as low as -160 at FanDuel’s sportsbook in New Jersey, and their season-win total is sitting at 61.5, six games fewer than last year’s season-win total. Golden State won 58 games in the regular season last year. West Virginia sportsbooks have taken in $10 million in sports betting action since launching around two months ago. WV sportsbooks have booked around $10 million in wagers since launch, and weekly totals are climbing steadily as the sports calendar fills in. The state has collected more than $200,000 in taxes, too, tracking toward its year-long projection of $5.5 million. That seems within reach, as early numbers essentially include just one operator in the dawn of peak sports season.